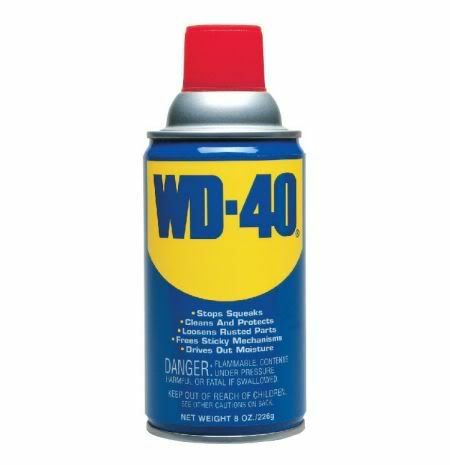 WD40-WHAT DO YOU USE IT FOR? This is an email I got today. Whether true or not regarding the ingredients I thought it would be an idea for Lumberjocks to add our uses for this great product. In case you ask I have no connection with suppliers or manufacturers of the product. Read the Email an you can add your uses if you wish! It removed the unwanted paint beautifully and did not harm his paint job that was on the truck. I was impressed! 42. Also, if you’ve discovered that your teenage daughter has washed and dried a tube of lipstick with a load of laundry, saturate the lipstick spots with WD-40 and rewash.
. P.S. As for that Basic, Main Ingredient….... Well…. it’s FISH OIL….
. OK Jocks, what can you add to the list? I didn’t read it yet (didn’t cheat), but I think the main ingredient is fish oil? I heard you can put it on fish lures or something??? -- Anything worth doing, is worth over-doing. That may well be correct Chem but what do you use it for? Grumpy I use it for squeaky door hinges. Not a very original use nor a woodworking use. Actually I don’t love the smell. Reminds be of work too much. Good one Chem. It works wonders on door squeaks. Makes a great, but dangerous, flamethrower. Used it to kill bugs in VietNam. Put the red tube in, start the spray and add a lighter. Instant inferno for the large bugs. Actually looked more like a minature flame thrower. Well Grumpy, you got me to thinking after reading your uses. I have this favorite carving shirt from Texas and after spilling red wine on it awhile back. I figured what the hell! I gave it a shot of WD-40 and bam it started to come out . I figure one more shot and it will be gone! Smells kind of automotive but one good wash will take of that. Big Thank you Grumpy!!!!!!! Good one Michael. Must try it one day!. Anti-seize, lubricant, and flamethrower for wasps are my top uses. Also used it on my ATV’s recoil once to displace a bunch of water that got in there from having the plug loose. The starter bendix was rusted up and wouldn’t move, so I replaced it and got rid of the problem water. My grand daughters (twins) would find a Sharpie marker and color their legs. They had to wear long pants forever. They were to be in a wedding as flower girls and had just colored their legs. We used WD40 and a clean rag to take the marker off their legs so they could wear dresses. Cleaned them up and gave them a bath. They looked like new.